We offer a range of alternative medicine techniques that include detox-purification programs, nutritional support and health counseling services for our patients. Dr. Juszczyk uses the holistic approach to treating our patients' needs, including chronic back pain treatment. We have a caring staff lead by Dr. Paul Juszczyk and are dedicated to improving your health and wellness. Chiropractic care incorporates a number of different alternative medicine techniques, and our Lebanon and Mason clinics are pleased to offer all the services that can help patients conquer neck pain, back pain, and all types of pain conditions. Welcome to Juszczyk Chiropractic, your source for Lebanon & Mason holistic care and alternative medicine. Led by our chiropractor Dr. Paul Juszczyk, our wellness team can help you naturally relieve pain, manage allergies and heal following an injury. As a family chiropractic care center, we are committed to helping Dayton and Cincinnati patients of all ages - from children to seniors - live their best lives possible through alternative medicine. Our whole body wellness care is different from traditional medical treatments. We help patients unlock their inner ability to heal through natural, non-invasive methods of treatment. For example, if you have suffered a herniated disk, you may experience a Lebanon family chiropractic care at Juszczyk Chiropracticshooting pain sensation in your legs and back. This condition, known as sciatica, can prevent patients from living an active life. As long as the herniated disk continues to compress the sciatic nerve, patients will suffer. 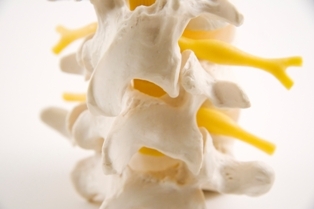 Chiropractic care corrects the underlying misalignment and helps the disc return to its proper position in the spine. By correcting the problem, we can help patients enjoy long-lasting pain relief, without the need for medication. Have chronic allergies stopped your from enjoying life? Many allergy medications focus only on the symptoms, such as a runny nose or itchy eyes, and ignore the underlying cause. Our natural allergy remedies address the reason for your allergic or asthmatic reaction, which may be caused by nerve miscommunication. If communication between the brain and spinal cord is impaired, the body can overreact, sending the immune system into hyper-drive. An upper cervical examination can determine if a misalignment is causing this communication impairment, and chiropractic adjustments can restore alignment, relieving allergy symptoms. Dr. Paul Juszczyk offers a variety of comprehensive adjustment techniques, including Atlas Orthogonal, Cox Flexion/Distraction and Diversified and Thompson Drop-Table Technique. Depending on the location of your neck pain or back pain, different techniques may be used to deliver a precise adjustment force. These treatments can help relieve back pain, neck pain, headaches, shoulder pain and migraines. Some treatments, like the Atlas Orthogonal, have also been shown in scientific studies to correct other health conditions, including lowering high blood pressure. Lebanon chiropractic care and alternative medicine for chronic pain. In addition to adjustments, our alternative medicine services include nutritional counseling, corrective exercises, physiotherapy, lifestyle advice, and spinal and postural screenings. In combination with adjustments, these complementary therapies can speed healing, helping the body recover fast from injury while enhancing pain relief. We recognize that each individual is a whole person with unique wellness needs. That's why we customize every treatment plan rather than following a "one-size-fits-all" approach. When you visit our Lebanon or Mason wellness centers, you can be assured you are receiving experienced holistic care. Our Lebanon and Mason chiropractic offices serve the greater Cincinnati and Dayton communites. We are proud to have helped thousands of patients conquer neck pain and back pain, headaches and allergies with our holistic care treatments. Most importantly, we help patients just like you live a better, active and healthier life through alternative medicine. Call our wellness center today at 513-932-2955 and start healing!